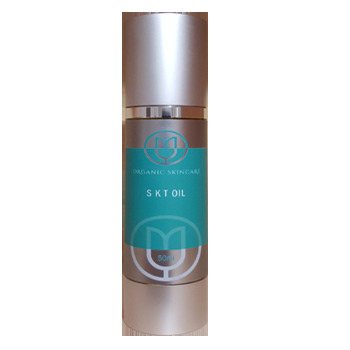 S K T (Skin Treatment) Oil - Traditionally used for mature, dry, ageing and cracked skin. The active ingredients in the S K T Oil have been used for generations by Amazonian tribes to protect against insect bites and stings and help with skin conditions. S K T is highly emollient and is an effective moisturising oil for products intended to help dry and cracked skin, eczema & psoriasis. Traditionally the oil in the S K T have long been used to enhance wound healing and is widely employed to heal many skin conditions, commonly used as a natural insect repellent, analgesic (pain-reliever), anti-inflammatory, and anti-tumorous wound healer. It is also highly beneficial in formulations intended to treat acne, insect bites and stings, as an insect repellent, for psoriasis, dermatitis, heat rash, skin fungi, and other skin problems. Gently massage a small amount of the SKT Oil into the affected area 2 to 3 times a day for maximum benefit. Avoid contact with eyes and keep out of the reach of small children Made in Australia.